What is one of the biggest complaints merchants have regarding chargebacks? Without first contacting the business, a consumer disputes the transaction with the bank, completely omitting the merchant from the refund process. Research conducted by Chargebacks911® revealed the overwhelming majority of chargebacks are filed fraudulently, bypassing the merchant all together. Only 14% of consumers contacted the merchant before filing a chargeback. Approximately 25% of consumers contacted the merchant after filing the chargeback. The majority of these improperly requested, bank-issued refunds are used to facilitate friendly fraud (or chargeback fraud). Consumers fraudulently use the chargeback system to get a refund. Another study found the majority of chargebacks are filed out of convenience; 81% of chargeback-filing consumers said they simply didn’t have time to contact the merchant. A customer dispute with the bank seemed like a less stressful, easier solution. Friendly fraud is one of the biggest challenges card-not-present merchants deal with. It is essentially cyber shoplifting, resulting in significant revenue loss for merchants. BI Intelligence estimates friendly fraud costs $30 billion annually and increases at a rate of 41% each year. Such alarming statistics beg the question: why is no one doing anything to stop the proliferation of this criminal act? Both card networks and issuing banks claim to do their part in the effort to reduce friendly fraud. However, loopholes in the chargeback process make it incredibly easy for these illegitimate consumer disputes to happen. “The cardholder must contact the merchant before initiating the dispute and the cardholder’s documentation must explain the result of the conversation with the merchant. If the cardholder cannot contact the merchant, the cardholder must state that the attempt was made to contact the merchant and that the merchant failed to respond. Issuing banks fail to execute sufficient due diligence when processing chargebacks. The age-old adage, “the consumer is always right,” still rules today, and banks are reluctant to jeopardize their customers’ trust. Meanwhile, card networks don’t strictly enforce their own regulations or mete out punishments to those who fail to abide by them. Ultimately, too much onus is put on the merchants. Merchants bear the brunt of friendly fraud consumer disputes, losing revenue, paying fines, and risking the ability to process payment card transactions. When it comes to friendly fraud, too much onus is put on the merchant. The best way to avoid chargebacks? Call in the professionals. Friendly fraud has put merchants in competition with issuing banks. Who can provide the best customer service? If the bank outshines the merchant, a chargeback is issued. So what can merchants do to avoid transaction dispute instances? Advertise the business’s contact information. Share essentials like email address, website, and phone number in the most commonly sought-after places: the website, sales receipt, confirmation email, marketing materials, etc. Simplify policies. The least restrictive policies offer the lowest chargeback risk. Consider foregoing cancelation fees, extending refund deadlines, paying return postage, and offering other consumer-friendly policies. Provide 24/7 customer support. The bank’s online consumer dispute form is available all hours of the day and night. Is there also a customer service representative available at the merchant’s establishment? Promptly reply to emails. Send an autoreply to all messages. Let the consumer know the query was received and will be attended to soon. Then, provide a detailed explanation that adequately addresses the customer’s grievances. Regularly check social media accounts. Social media is a viable communication channel. It is especially important to carefully monitor these communications since they happen in a public forum. Notify the consumer of important events. Send a confirmation email after processing the order. Send another message when the items have been shipped. Let the consumer know if the purchased items are backordered or will be delayed. Send reminder notices before processing a recurring transaction. It’s impossible for merchants to anticipate finicky consumer behavior and nothing can account for irrational consumer actions. However, merchants should do all they can to reduce the risk of consumer disputes filed with the issuing bank. Fortunately, avoiding transaction disputes isn't just a shot in the dark—not with Merchant Compliance Review by Chargebacks911®, the industry's most comprehensive diagnostic tool. We conduct a 106-point inspection of a business’s policies and practices. 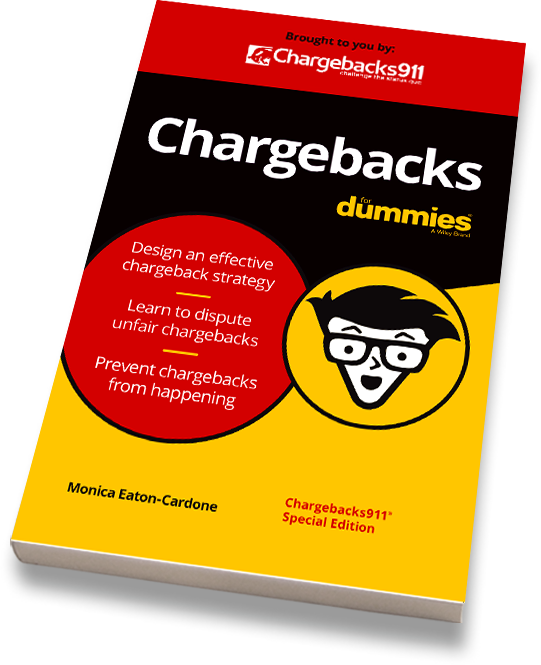 Then, we provide an actionable solution to solve the newly revealed chargeback triggers. If you’d like help improving your customer service, enhancing chargeback management efforts, and adhering to business best practices, let us know.